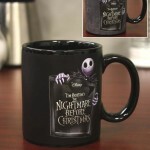 NECA has revealed some new licensed products for the 2011 Nightmare Before Christmas Collection. 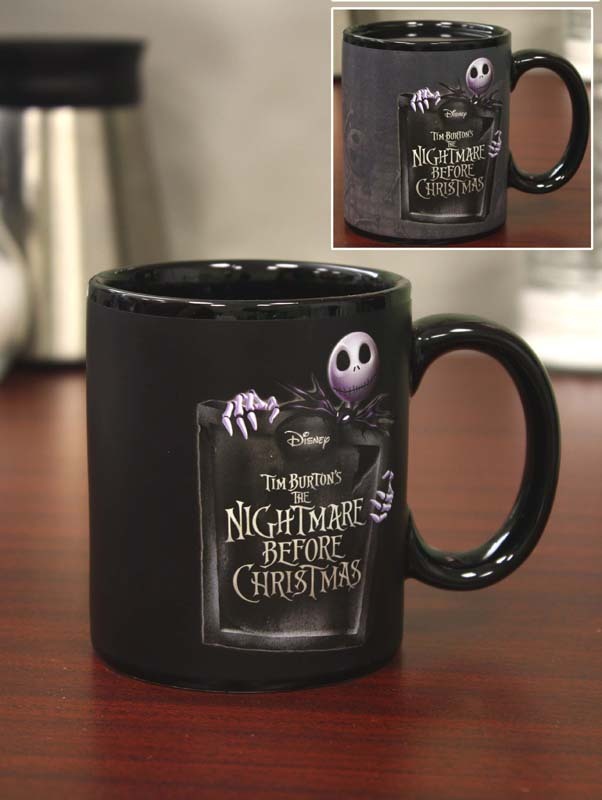 Tim Burton’s The Nightmare Before Christmas is one of the most enduring films of the last 20 years, and today, NECA is thrilled as always to highlight the latest in our ever-growing collection of NBX items! There’s more to talk about next week, but as Halloween celebrations begin, there’s nothing quite like a little Nightmare to make the season. Now that NECA’s put out approximately 7,684 NBX goodies (it’s a guesstimate), it gets harder and harder each time to reinvent the wheel and come up with both new things we’ve never done before and updates of classic ideas made new again. We’re proud to say our Fall 2011 NBX collection lives up to its many predecessors, while also expanding into yet-uncharted territories. 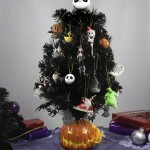 An absolute highlight of our Fall is the tree. 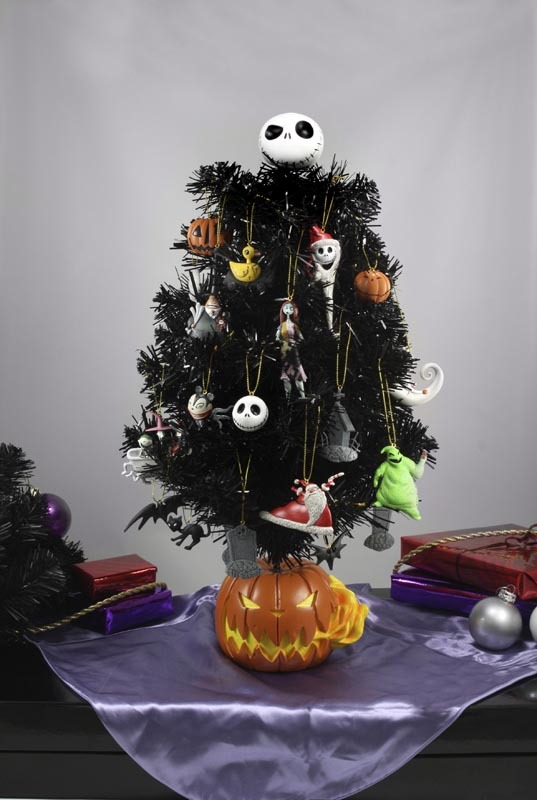 For the first time in several years, NECA’s got an actual NBX Xmas tree that comes complete with Halloween Town-themed ornaments and everything you need to set it up and make your holiday just a little more Nightmare-ish. There’s also a vintage carrying case, which is perfect for ornaments from your NBX tree ( just sayin’), stands 8″ tall, has real metal clasps and a picture of Jack and Zero on the front! 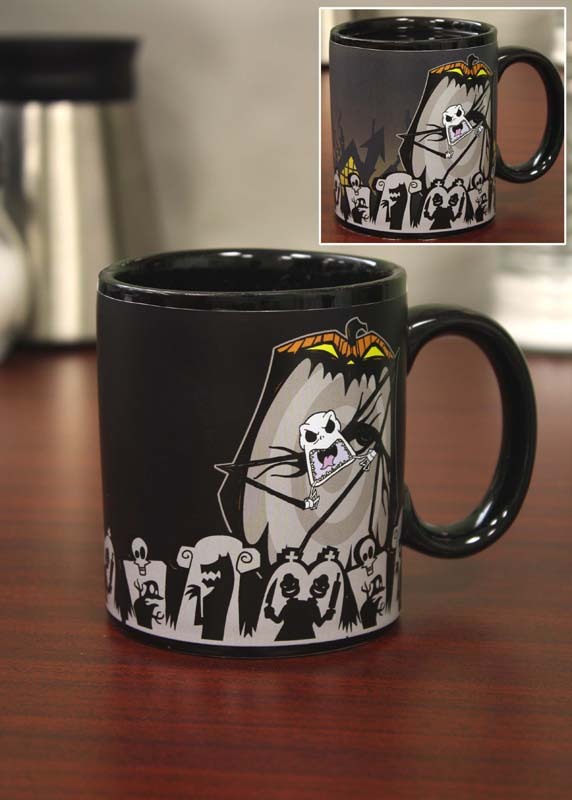 Then come the mugs. You gotta have the mugs. They’ve been a staple of NECANBX — yeah, that’s right, we combined the acronyms — all along. This time around, we’ve got two brand new takes, including the Scary Face Jack, which is perfect if you’re as terrible before your morning coffee as some of us are. 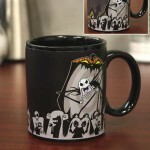 We’ve also got a regular Jack/NBX pattern mug, for anyone who’s a bit more civil before lunchtime. Both images change when hot liquid is poured in. 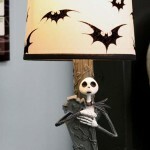 Rounding out this batch is a brand new Jack Skellington figural lamp. 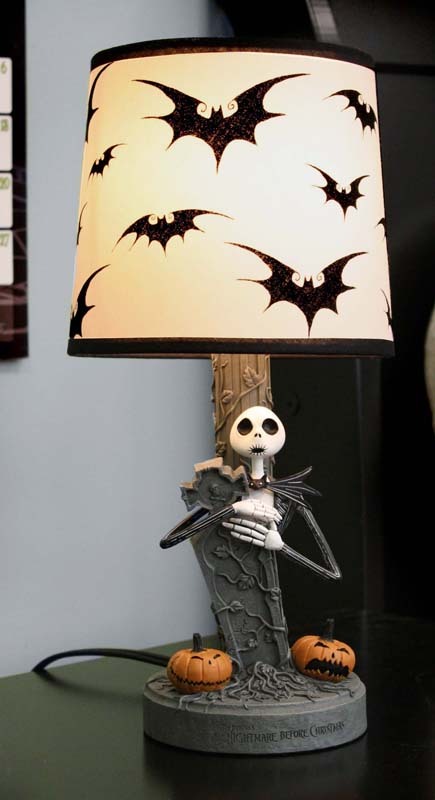 We’ve done other lamps before (you can see them here), but this is the first to feature Jack in all his glory. He appears as part of the base with two jack-o-lanterns, holding a tombstone and looking awfully worried about something or other. Maybe it’s all the bats flying around him on the lampshade. Rabies shots are terrible. Discuss on the Toyark Forums› Views: 4799 › Credit: BlackMagnus of the Toyark Forums! Agreed they need to focus on the toyline itself.